Having your tooth knocked out can be a frightening experience. Whether your tooth was injured while you were playing sports or you sustained an accidental blow to your face, you’ll need to take action quickly to save the tooth. Before you do anything else, be sure that you haven’t sustained any serious bodily or head injuries that require life-saving emergency treatment. If you’re not in danger, take the necessary steps to protect your tooth until you can get to a good affordable dentist. Use the following tips as your guide. Locate the missing tooth, and pick it up by its crown. Never touch the root. Handling the tooth by its chewing surfaces only minimizes the risk of further damage. If the tooth is dirty, rinse it carefully under running water. Don’t use soap or cleaning chemicals. Never scrub the tooth or try to remove impacted debris. Don’t dry the tooth or wrap it in tissue or cloth. Keep it moist at all times. If it is possible to replace the tooth into its socket, do so immediately. Push it gently back into the empty space, or position it above the socket, and close your mouth. You can hold it in place by biting down gently. The tooth must not be allowed to dry out. If you are unable to get it back into its socket, store it inside your cheek, or place it in milk or emergency tooth preservation fluid. 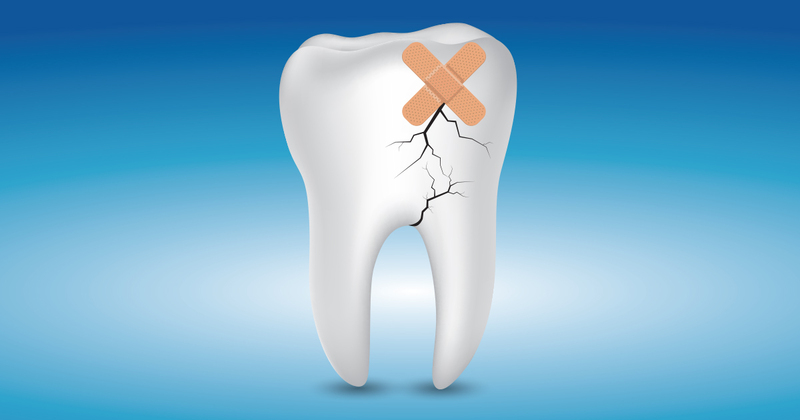 Quick action is essential to save a knocked-out tooth. If you can, bring it to a dentist or endodontist within 30 minutes. It may be possible to save the tooth even if you can’t reach a dentist immediately, but for the best chance of success, get professional care as soon as possible. To find dentist resources in your area, check your local business directory for emergency dental care clinics or providers. The best dentist Virginia listings should provide an emergency phone number that you can call to obtain more information. You should have no problems locating a good affordable dentist to save your tooth. However, if you can’t locate a dentist who is available immediately, go to a hospital emergency room for treatment. I have been with Dental One Associates for many years, and I wouldn’t go anywhere else. Every member of the staff is great, and I especially like Tyshia, who takes great care of me. Five stars!